With over 45 years of technical expertise, EIZO is dedicated to developing innovative and high quality ATC Visual Display Solutions for a wide range of markets. EIZO’s full spectrum of ATC solutions provides towers, control centers, and training & simulation facilities with a wide selection of specialized solutions ideally suited for any environment. EIZO develops, manufactures, and quality-control tests every product in-house at its own factories to improve efficiency and ensure maximum reliability. 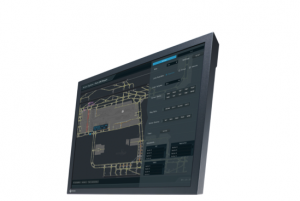 With successful bonds with numerous ATC system integrators worldwide, EIZO continues to invest, grow, and excel in providing the ATC sector with the most extensive lineup of visual display solutions in the industry. 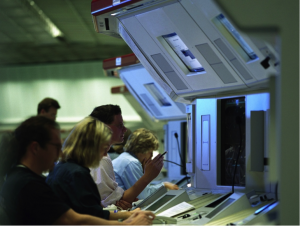 ATC area control centers require the most reliable equipment for the safe and efficient coordination of air traffic. A highly-specialized monitor capable of accurately displaying ATM high-resolution data is no exception. 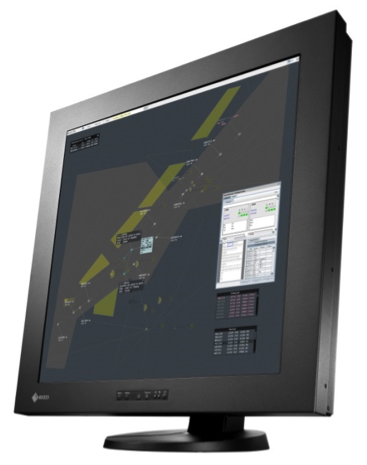 EIZO’s 2K x 2K and 4K x 2K primary control monitors offer air traffic controllers exceptional image quality with direct LED backlights for brightness uniformity and extensive customizability to meet the requirements of any installation. The Raptor 2K x 2K series features EIZO’s unique eBlue LED direct backlight technology for smooth images, operational efficiency, and long-lasting reliability. Non-intrusive hardware calibration also comes built-in for maintaining consistent brightness, gamma, and white point settings. EIZO’s 4K x 2K monitors provide controllers with the option to view 2K x 2K data and auxiliary information simultaneously with split-screen functionality or a single 4K x 2K high-resolution image in exceptional detail. Each are equipped with an LED direct backlight system for superior brightness uniformity across the large screen. 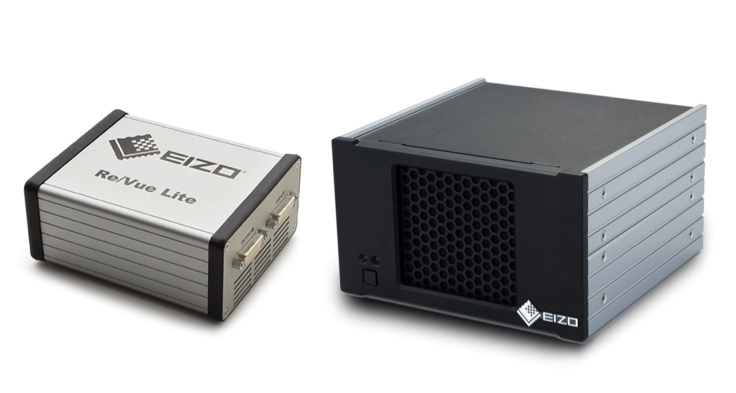 EIZO’s Re/Vue line of recording and streaming products features industry-leading lossless compression ratios of up to 30,000:1 and mission-critical redundancy to provide accuracy and dependability for ATC, training & simulation, and command & control (C2) environments. Single-channel and dual-channel solutions are offered for resolutions of up to 2K x 2K and 4K x 2K. EIZO also offers an H.264 encoding and streaming solution to support environments utilizing content with a higher refresh rate such as surveillance video or non-vector based images. EIZO’s tower monitors are equipped with a widely adjustable brightness range and exceptionally high contrast ratios to handle the changing ambient lighting conditions of a tower environment. This ensures that ATC tower controllers are always able to view essential information clearly, while also reducing eye fatigue. The diverse requirements of towers, control centers, and training & simulation facilities call for monitors of various sizes and features sets. EIZO’s extensive range of auxiliary monitors is equipped for use in each of these environments for ultimate flexibility. The monitors are available in both square and widescreen formats and come in a variety of sizes up to 32 inches. With a range of functionality and ergonomic and energy-saving features, these monitors are well-suited for various ATM applications. EIZO also offers customization for select models. The 4th generation Raptor Series of high-resolution graphics boards and associated drivers are developed in-house for air traffic control. They support legacy UNIX and Linux platforms and applications that require the use of overlays. With multi-resolution support, high configurability, and reliability with an innovative passive heatsink cooling system, these graphics boards meet the specifications required for any mission-critical environment.